No bolts or screws, just wood and glues! 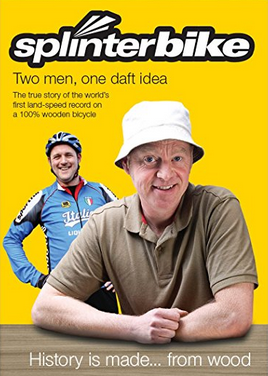 The SplinterBike project came about after a casual £1 bet turned serious. Inspiration came from many areas but the most significant was the influence of the carbon-fibre Lotus 108 time trial bicycle designed by fellow Norfolk designer Mike Burrows and made by the Norfolk based Lotus car manufacturer. The challenge was to design and build a 100% wooden bicycle. “No bolts or screws, just wood and glues” were the rules of engagement. What developed was the SplinterBike, creating a new type of human powered vehicle... the Plicycle. 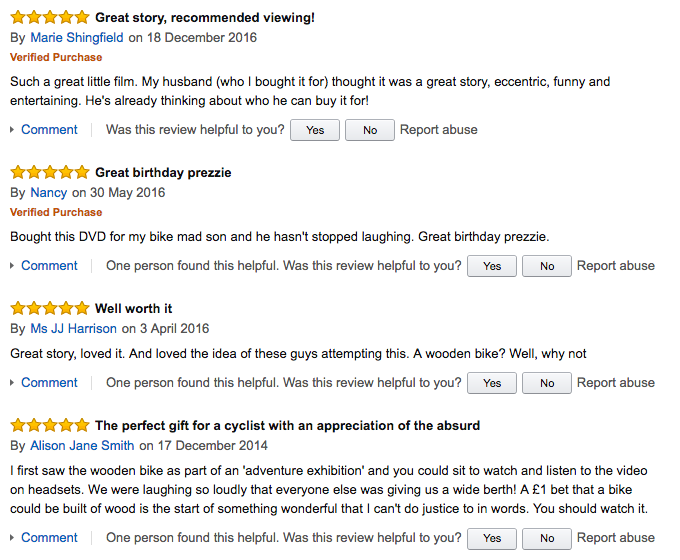 This required taking a sideways look at how to overcome the many challenges we faced to produce a ridable wooden bike. Obvious problems like the chain have been tackled by connecting the power from the pedals to the rear wheel by the simple addition of a gear cog (pliCog). This however took many hours to design and prototype. Just because the things around us are as they are, doesn’t mean they have to stay that way. Alternatives can be designed for everything we use day to day and so often take for granted. We don’t have to reinvent the wheel but it’s interesting to try. The SplinterBike forced me to employ timbers previously unused in my workshop such as Lignum Vitae, a naturally self lubricating hardwood, which is included for bushings to minimise friction where one component turns in an opposing direction to another. Many years of woodworking experience have enabled me to make a bet with a friend and end up developing something that will ultimately set a land speed record for wooden bicycles. It’s a testament to the versatility and strength of one of mankind’s oldest available materials... and of course, modern glue technology. The Original SplinterBike took around 1000 hours to design and construct in Norfolk, England. The SplinterBikes are designed and built by: Michael Thompson Norfolk, UK. To get in touch, please email: Contact Here. "It's possible to build a 100% wooden bicycle..."
The SplinterBikes are ridden by: James Tully, an accomplished triathlete who is training for his biggest cycling challenges to date. "...if you build it, I'll ride it!" A tale of two men... One more goal. Following in the wheel tracks of the original SplinterBike (that found itself on display at the Victoria & Albert Museum London last September and viewed by 320,703 visitors during the four month Power of Making exhibition) and SplinterBikeTwo (that went on to set a new speed record for 100% wooden bicycles in August 2011), SBQ stays true to its original design principles and incorporates the menacing pliCog transmission gearing. SBQ has various improvements over its predecessors, although there is no doubting that it comes from the same stable. Many a hard lesson was learnt during the 1,600 hours of designing, prototyping, building and testing of last year’s bikes. Mostly issues concerning durability because it soon became apparent that the chosen materials were not the most suitable for this type of vehicle. However, itʼs great fun to see just how far they can be pushed, albeit in the wrong direction? Thanks to the enthusiastic support, skill and at times, patience of everyone at Quantum Industries Ltd, the 88 individual components that have come together to create this bike have been cut out using the latest CNC machinery. This machinery works from CAD drawings that took 120 hours to prepare and then a further 40 hours on the CNC machine itself. Once these components are cut out, they then take a further 400 hours to be built up and assembled upon and within the monocoque frame. Despite efforts to reduce the overall weight of the SplinterBike design (including hollow wheels and a balsawood sandwich seat) the weight has actually risen by 6 kilos to 39 kilos on the SBQ. This is mainly due to the substantially bigger plywood gearing and bottom bracket that is machined from some reclaimed Ekki (aka Azobe) salvaged locally from the River Thurne. The gearing has been dramatically changed as the high 4:1 ratio on the original SplinterBike was very aggressive on the small plywood gear teeth. SBQ has a much easier to pedal 2.5:1 ratio and the gear tooth size is also much bigger. In theory, the 224 teeth on the six “pliCog” gears should propel the bike to a speed of 33.33 kph based on a rider cadence of 100 and 56.66 kph at a sprint cadence of 170. The glue tyres now have an improved full radius profile thanks to a hybrid polymer adhesive from our glue sponsor Tremco Illbruck . This is one of the first jobs undertaken on the build programme as it takes five weeks for the glue to set hard enough to hold its shape whilst under load. SplinterBikeThree is being constructed and we have set our sights on the One Hour Record for 100% Wooden Bicycles. Would you like to have your name, web address or your company logo on the side of the new bike? 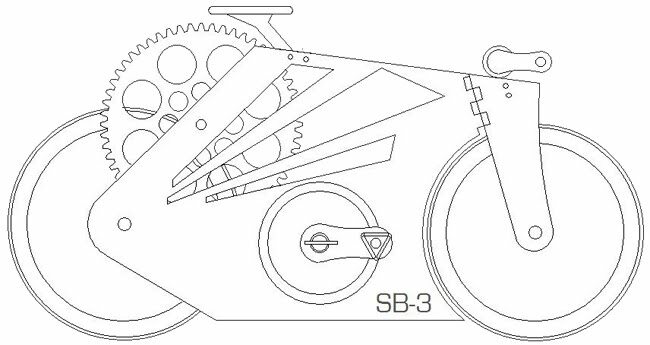 In creating a 100% wooden bicycle to set an Hour Record we are going to have to up our game and employ even higher standards in the design of SplinterBikeThree. We will start testing the next generation of wooden components very soon with a view to having a fully ridable bicycle by 2014. We will attempt to set the Hour Record for 100% Wooden Bicycles, we will also attempt to break our existing Land Speed Record.